Matt Barnes returns to the Clippers after missing the last 16 games. 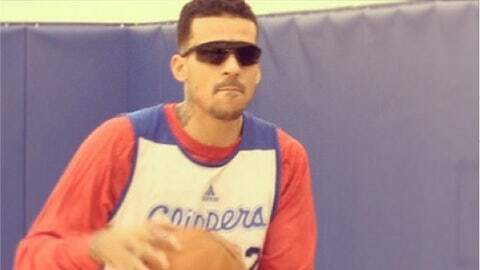 Matt Barnes is getting his Terminator on and doing his own rendition of "being back." The Clippers’ forward will wear protective goggles and play on Saturday against Denver after missing the last 16 games recovering from surgery to repair a torn retina in his left eye. "I think it’ll be good," head coach Doc Rivers told the Los Angeles Times. "First of all, I think Matt is our best cutter. So that’ll give us some of that again. And I think right now, when I go semi-small, I can go with (Antawn Jamison) or Stephen (Jackson) and Stephen and Matt being together defensively could be really good." Barnes dressed and was available to play Wednesday night against the Pelicans, but Rivers decided to keep him on the bench. Barnes is averaging 5.9 points in eight games this season.